Working off-site has become more common than it was even ten years ago. For some potential employees, remote employment is a major plus. It allows them the flexibility they need to balance work and family life. 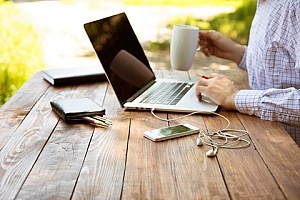 More and more employers are offering remote employment as a way to attract top-notch talent. HR consulting allows for employers to manage more remote employees while remaining in compliance with laws and ensuring the remote employee is just as effective as an in-house hire. 1. Communications. Communications issues are frequently an issue for business organizations, and the larger the organization the bigger an issue it seems to be. With a remote employee, communications take on an even more important role and will likely take more of your time. You will want to establish clear communications protocols, preferably in writing. Think of everything – weekly phone calls, email, video conferences, times for in-person meetings, and so forth. These details will of course be driven by the nature of the job duties, the employee’s level of authority, managerial preferences, and other relevant criteria. If the remote employee is operating in a different time zone, you need to schedule important communications at times that make sense for the employee, the employee’s supervisors and team members. Good lines of communication will also keep the employee engaged in the mission and as an active member of the team. The remote employee should be able to add value to the organization, despite working from a remote location. 2. Set clear goals and expectations. Make sure every remote employee understands what is expected of them each day, each week, and so on. If appropriate, set clear completion deadlines and milestones for each task. Write a detailed position description and describe the specific tasks required to meet your expectations. 3. Hire a responsible, independent individual for the position. It can take a lot of effort to manage a remote employee – sometimes more than necessary for on-site workers. A remote employee must be able to work without being micromanaged. This means the remote employee must be reliable, competent, and self-disciplined. The employee will not have in-person “face-time” with the on-site leadership like other employees do, and the candidate must be comfortable with that. When you interview candidates for a remote position, look for strength in these character traits. Contact the candidates’ references and learn as much as you can about the person. Forbes suggests having the individual take a Myers-Briggs personality test to help determine if the candidate is suited for remote employment. 4. Make sure the position itself is one that is suitable for remote employment. Some positions are more suited for working remotely than others. 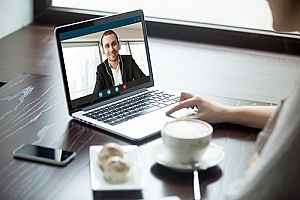 A position that entails significant managerial responsibility or one that requires face-to-face interaction may not be appropriate for a long-term remote assignment. Think about whether the position responsibilities need to be reorganized and re-assigned to an on-site employee. 5. Make sure the remote workstation is properly equipped and complies with applicable safety and accessibility laws. The remote employee needs to have the basic equipment necessary to perform the job and meet your expectations. If the employee will be working from home or from another facility that is not controlled by the employer, the employee’s workspace needs to be a safe place to work. Have your legal counsel help prepare a document outlining the minimum standards of safety and is suitable for working from home or other remote location. Have the employee sign the document attesting that the home work space meets the employer’s minimum standards. Your legal counsel can advise you on steps to take to minimize your company’s responsibility for accidents and injuries the employee may experience while working from home. 6. Comply with applicable tax obligations. When you hire a remote employee, your company may incur new tax obligations imposed by the employee’s state or country. Your legal counsel should make sure you understand what those obligations may be and that your company is able to comply with them. Compliance may entail registration with various taxing and employment authorities and regular payments that add to the total cost of hiring the employee. Compare it to the cost of hiring a temporary employee or independent contractor as a less expensive option. A mistake in hiring a remote employee can be expensive to your business. The administrative costs of compliance, travel, training, supervision, and other related costs can exceed that of hiring an on-site employee. If you do not already have remote employee policies and procedures in place, get help from a professional. If you already have them, consider having them evaluated by an HR consulting firm and make sure nothing has been overlooked. Contact the HR consulting professionals at Smart HR for more information and find out how their HR solutions can assist.